Goal setting for children gives your kids a sense that they are capable of doing whatever they put their mind to. Now that is a valuable lesson to learn. Children like to have fun, and goal setting for kids is much more likely to be successful if it is a fun and rewarding experience that you and your children can embark on. It also offer 10 Unique Bonus Games, Activity Sheets, and Guides. 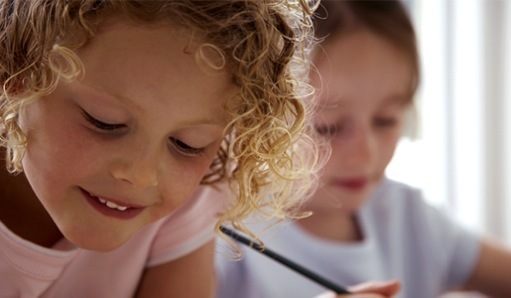 The suite offers ways for children to develop their true potential and goals at any age. When I read Go For Your Goals I thought they would be a godsend to parents who wish to assist in bringing out the best from within their children. They use similar goal setting strategies that I use with successful adults, yet they are modified for young children. The principles of goal setting for children are similar to adults...but there are two important differences! Go For Your Goals highlights these important differences between adults and children. Children are less emotionally or cognitively developed than adults. So while adults need to focus on setting SMART goals and breaking long-term goals to short-term goals with goal setting templates, goal setting for kids involves setting goals that are smaller and more tangible. Goal setting needs to be adapted for the child’s age! There are three books that are written for children aged from 5-9 years of age, another for children aged 10-15 years of age, and a parent’s guide. The books are FUN! This keeps your child motivated and engaged in the goal setting process. I really like the fun activities. Making a goal ladder, or the board games and activities that come with this book are ways that bring fun to the goal setting activities but also reinforce the core learning principles. The books have great graphics, clear explanations, and enough activities to keep your child’s interest. The bottom line is that their goal setting activities are FUN and fun is the hook that gets you child interested in this important skill! What I really liked though was that they provided a parent's guide that came with the book. The Parent guide gives an opportunity for parents to develop their child’s understanding of these goal setting concepts! Importantly, Go For Your Goals provides a parent’s guide that you can use to guide your children in their goal setting. Your children love their one-on-one time with you. So any goal setting should involve your participation, and there are a number of things that you can do as an adult. The parent’s guide describes what you can do to foster your children’s goal setting. I found the guide thoughtful in the way that parents approach their children who may have goal setting difficulties, and also some steps to take to keep your child motivated. Help your child describe what they would like to achieve in specific terms. Clear and relevant examples with goal setting activities were provided throughout the book – such as helping your child make their wish list. Help your child plan the steps to achieve their goal. The book uses an easy-to-understand goal setting ladder which can easily be put on your refrigerator and be an inspiration to your children. Help your child to review goals and the steps that you (and they) can take if your child does not reach their goal. The overall graphics really suit the age-groups that they are writing for. But if there was one point that I would have to highlight, it is that the graphics would require color printing to be most effective - and this could make the book more expensive. However, the parent's guide and the clear and thoughtful way that the children's goal setting books are provided are really important tools that promote your child's confidence and develop life skills to succeed in life. From a children’s wish list to developing practical life-skills for success...it's all in Go For Your Goals. If you buy one goal setting for children book this year, make it this one. It was definitely money well spent for me. If you liked goal setting for children then you will also like these goal setting forms.